”Being an electrical engineer, Manifold prepared me to handle GATE and UPSC/PSC exams. I was ranked 17th in GATE examination and got to do my Master's in IIT Bombay, because of the motivation and training received at Manifold." "It was a positive experience studying at Manifold. The teachers at Manifold come with industry experience and this helps them impart fundamentals and practical understanding of the subject to students. As a recently graduate of electrical engineering, Manifold has equipped me with the right set of skills to handle competitive examinations, including GATE and UPSC/PSC exams. I was ranked 17th in GATE examination and got to do my Master's in IIT Bombay because of the motivation and training received at Manifold. I owe the advancements in my career to Manifold." "I can positively say Manifold Institute helped me tremendously in securing AIR 20 in Gate exam. I could maintain a regular schedule dedicated to Gate preparation after joining the institution. Abstract concepts were taught from the basics, often with the help of examples. The Mock test series conducted towards the end of the training helped me in managing time better and boosted my confidence. In my opinion, what sets Manifold apart from other similar institutions is the friendly and motivating atmosphere created by experienced faculties. This is a place where inquisitiveness is valued; the primary focus of the faculties was to make learning an enjoyable experience." "The best thing about Manifold is sincere faculty, informal approach and detailed discussions helping one to learn concepts effectively. They teach with passion and offer all sort of help to ensure quality education, and I recommend Manifold to anyone without a second thought." "The best thing I felt about Manifold is the sincerity of its faculty. The informal approach and the detailed discussions help one to learn concepts effectively. They teach with passion in mind and are ready to offer any sort of help to ensure the quality of education. After one year's experience, I can recommend Manifold to anyone without a second thought." "Besides being the best GATE coaching center in Kerala, Manifold offers an incredible warmth of friendship between students and teachers." "Manifold is much bigger than “just a Gate coaching center. It’s a life changing mechanism, and is a place where you can make a meaning to your engineering life, and is a place where knowledge is cultured." "Manifold is much bigger than “just a Gate coaching center”….. it’s a life changing mechanism…..its aplace where you make a meaning to your engineering life…it’s a place where knowledge is cultured." "Manifold is the best to learn from, and are found to be very skillful, humble and motivated to show you the way. I thank them for effectively and sincerely helping me, and thank Manifold for the constant support." "I choose to learn from the best. When it comes to Manifold, they are found to be very skillful, humble and motivated to show you the way. What they teach you will help improve you, not just during the course but beyond. They are also very motivational. We are enthused by the classes. I thank them for effectively and sincerely helping me. I fully thank Manifold for the constant support." "I found it excellent as for the support, response, and overall help from Manifold services and staff. They were very switched on and tolerant. The feedback was productive and always positive and encouraging. They have helped me develop a positive attitude towards my studies and discover more about myself. I thoroughly enjoyed my time here and found Manifold to be the best in all aspects. I wholeheartedly them for the constant support." 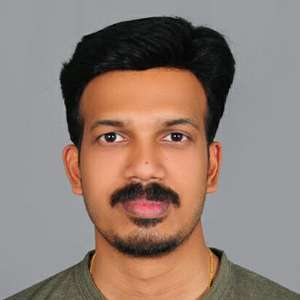 "Being a GATE Aspirant, I am so lucky to have joined in one of the best gate coaching centres in kerala.I'm thankful to all the teaching faculty in Manifold whose constant guidance and consistent supervision helped me achieve my dream of getting into an IIT." "Being a GATE Aspirant, I am so lucky to have joined in one of the best gate coaching centres in kerala.I'm thankful to all the teaching faculty in Manifold whose constant guidance and consistent supervision helped me achieve my dream of getting into an IIT. Their timely criticism and valuable suggestions encouraged me a lot to work towards my goal. If you are someone keen to learn the concepts in a nutshell, then I 'd say Manifold is the right place to start with." 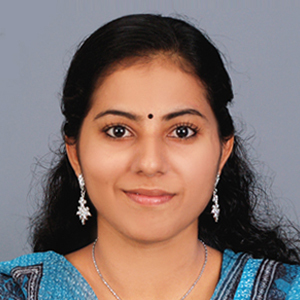 "One of the best decisions I took on account of my IIIT aspiration was to join Manifold. They have played an indelible supporting role throughout my journey. All their heightened motivation and encouragement along with their focused teaching has fostered the realization of my goal." "One of the best decisions I took on account of my IIIT aspiration was to join Manifold. They have played an indelible supporting role throughout my journey. All their heightened motivation and encouragement along with their focused teaching has fostered the realization of my goal. Manifold would be the place I would prefer you to make your IIT dream come true."